Almost one third of all merchandisers reported that they were unsure that the data they collect is effective. That was the shocking finding of a recent KPMG survey. How can this be? At the moment when we have more data than ever before, we have confusion instead of confidence. Here are some key points to keep in mind to ensure that the data collected and reported is effective. Distribute. The best field data systems help you to share the right data with the right levels and functions. No need to fire hose everybody with all the data. Organize. In the old days all the burden for decisions about how you gathered, tracked and filtered data landed on IT. Nowdays, the best field data systems are self-serve. They enable IT to manage the system, and the people who need the reports to design and run the reports. Question. A lot of data is collected out of habit, or fear that we might need some data later. The acid test before data is collected is this: “does this data help me make a decision – or not?” Asking reps to collect data that’s never used is double jeopardy. It’s bad for morale. And while reps are collecting data that never gets used, they have less time to get the data that’s vital. Narrate. There’s a belief that the facts will speak for themselves – but in this busy world the facts need help. They need narration. That is, a story that gives shape to the data and helps people digest more detail, faster, and make better decisions. A lot of the decisions about field data collection used to be limited by the tools and the tech – but not any more. The best field data systems give deeper insights at greater speed and lower costs than could ever be imagined even two or three years ago. This puts a lot more pressure on C-levels of brands and merchandisers to be more aggressive in setting goals. It’s exciting times. The biggest challenge for every player in the bricks-and-mortar retail ecosystem is speed. Unlike online retailers, you have to get product on the shelf with all the supporting collateral in a very specific time window or the value of your trade promotion spend evaporates. Timely reports on what’s going on between the stock room and the cash register are critical. To compete these days you have to be able to tick all of these boxes, answer “yes” to all of these questions. Any one of these warning signs is a signal to re-evaluate your field data system. More than one warning sign suggests that changes are urgently required. The system is built on Excel. It has some real strengths. Most business people are familiar with Excel, and it’s installed on most business laptops. Excel was not designed as a multi-user mobile data collection and reporting system. As a result, to generate reports users must employ a repetitive copy-paste process, which is prone to error. Over time, your data becomes corrupted. It’s impossible to track down and eliminate those errors. Predictions made with corrupt data are, unfortunately, not worth the paper they’re printed on. Reps often lose data due to app crashes. While a crash is annoying when you’re listening to music or a podcast, you don’t lose data. When a crash happens at the end of an intensive site visit where there’s no WiFi or cell data coverage, it’s bad news. If crashes are frequent it’s really bad news. Field data is one of the most demanding applications for mobile devices. So frequent crashes and data loss signal that the provider is learning at your expense. Increases in bandwidth and storage use overload the system. Photos are a critical part of field data collection, as they are the fastest way to flag gaps in execution of promotions. And photos are big consumers of bandwidth and storage. Systems that have robust algorithms for capturing, compressing, transmitting and storing images enable you to scale without breaking the bank. You lose business to competitors who are able to deliver same-day reports with analysis. Everybody knows that the competition for retail bricks and mortar consumer dollars continues to increase. It’s now essential to design, pull and deliver reports in the space of one business day – reports with the high quality data needed to move the sales dial. If your system can’t support this, it’s time to re-evaluate. It takes years to translate requests for added features into deployed functions. This is a common sign that basic maintenance of the system takes too much effort. It’s time to evaluate replacement options. When we asked merchandising managers “how do you build the surveys that you need to move the sales dial” we found many frustrated people. Survey results often leaves managers without the information they need to report to brands. Why? Surveys are incomplete, too long or both. The objective with surveys is a crisp selection of difference-maker questions that reps can blaze through. Too often reps are bogged down with 30-50-plus questions. A surprising number of merchandising managers still compose surveys with pencil and paper. Then the questions must be typed out. This process is laborious and time-consuming. Reps struggled to follow the surveys in store. The results left managers struggling to run reports that generated a meaningful picture for decision making. Can you build your survey by simply typing in your question and selecting the answer type? You should have a pick list that includes photos, signatures, multi choice, branching questions, mandatory answers, etc.) Also, can you add product SKUs to surveys without retyping the same question for every product? Make sure you can answer all the questions types (photos, signatures, multi choice, branching questions, mandatory answers, etc.) Going out of a survey to take photos and then back in to continue the survey is very distracting. You should be able to answer all of the questions while you are in front of the shelf. This means you need to be able to work both online and off line. After all you won't always have an internet connection. You should be able to run this survey on any type of mobile device. Hardware can be expensive. Your system should not lock you into one type of hardware. Finally make sure you can direct these surveys to the right sales people and the right stores. A few simple clicks should send them on their way. Systems that have all of these features are flexible. And that’s what you need to develop well-built surveys. The surveys that help the field reps get the job done quickly, and lead to great reports. Many of the merchandisers we talk to say “we use spreadsheets to capture and track our field data – everyone knows Excel and we can put everything in one place.” For all these reasons, spreadsheets are a powerful merchandising tool. However, as the pace of business continues to accelerate, we’re looking at a changed world. Merchandising used to be about offline/static data. Merchandising is rapidly transitioning to online/dynamic data. In this fast-changing world, you need to make same-day decisions and your spreadsheet roll up only delivers information to you once a week. How do your clients see what’s happening… make the right decisions at the right time to move the sales chart up and to the right? Spreadsheets struggle to keep pace. 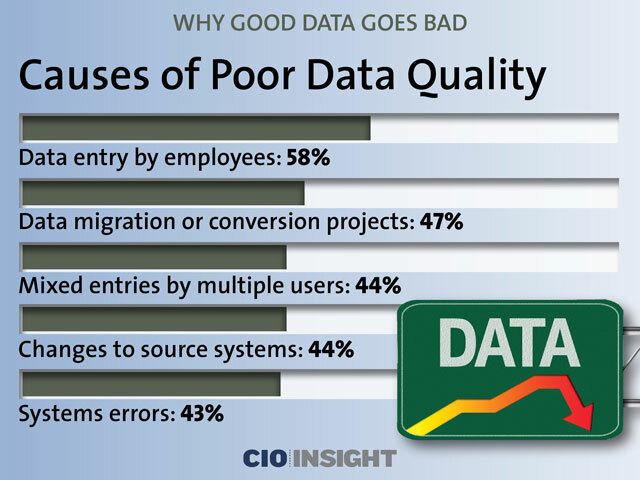 Worse, spreadsheets are now the source of serious errors in data. Roll ups are produced by copying and pasting from multiple spreadsheets. When errors in formulas creep in, the repeated copy-paste cycles make the errors very hard to stamp out. Columns that are hidden don’t get deleted when they should. Signs for plus and minus get swapped, with disastrous consequences. These snafus have cost billions of dollars. It’s practical for merchandisers to have a complete, clear and accurate picture of what’s going on. That means dashboards that give you the reliable big picture – and enable you to drill down to the SKU, store, shelf level in a click or two. Live drill downs. No clumsy filters and re-running reports. Real time data that gives you time to plan and deliver maximum value. Tools everyone can understand and use. As big data increases, stay oriented… don’t get lost in huge tables of data. If this is what you’re looking for, you’re not alone. Better, there are proven solutions that deliver these outcomes. So yes, there is a better way. What's the Deal with Big Data? We can create more data and extract more value from it than ever before. A less obvious change is that small brands have an array of new tools to compete with big brands, and win. A key link in this process is field execution data. If you don’t have timely and accurate information you really have no idea if your promotions are effective. It’s critical to maximize the impact of trade promotion spend, because its expensive and hits both the bottom and the top line. That makes it essential to identify and track key performance indicators of in-store execution – in as close to real time as possible. Plus, retail execution data that has become corrupted ages like fish, not wine. Instead of becoming more valuable it becomes a health hazard. Time is also a significant factor. The ability to respond fast to changes to the in-store situation is crucial. Metaworks specializes in field data systems for small and medium sized brands and merchandisers. We’ve been doing it for almost 20 years. We have the happy customers to show for it. We’re happy to discuss the state of your field data system and how it could be improved.